When decorating the room of our little boys need to think first of all, that this should be comfortable and functional, we must not forget that not only is the place to sleep every night but you will spend much time playing so spaces should be left to develop these activities. 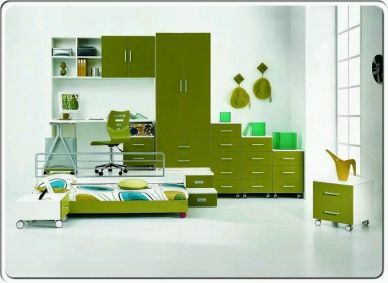 Important aspects are the illumination of the room, not just for appearance that gives vital but it is good that the sun enters the room, is a way to avoid the presence of bugs, another point to consider is how is furniture and its size, preferably avoid corners or tips for small not damaged and the second point refers to the fact that the furniture should be useful for our children, nothing will serve to put a pretty comfortable in his room, but so high that he never reach. 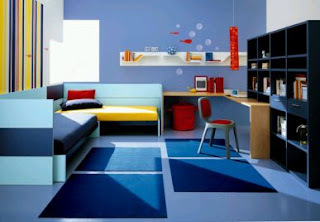 Spaces well be distributed to allow the child to have a playground. 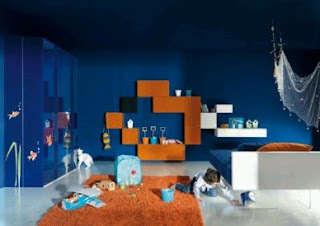 You only need imagination and few elements to make a great decoration. 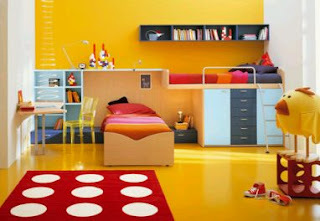 The lighting in the room is necessary for the vitality that is injected into the room. 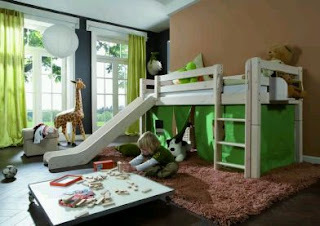 Preferably, the child must find a mini world in his room, a place to sleep, play and even to study. 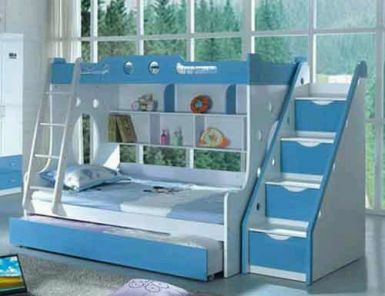 This model have a sofa bed in the bottom and another bed on top, the first ideal environment for our children to receive their friends. The color depends on the taste of your child, but it is suggested to use bright colors that illuminate and enlarge environments. 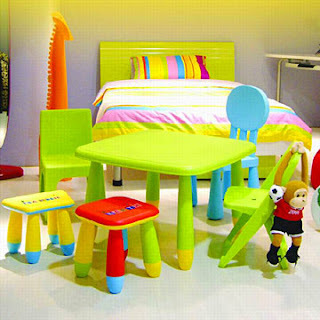 Remember that from childhood you can teach them what is the order, but for this you must provide the right furniture. 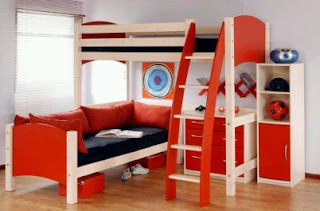 The size of the furniture should be related to our boy size. Preferably choose furniture with rounded corners to prevent accidents. 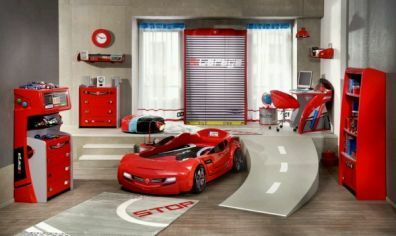 If your little one love cars, this racetrack in his room is a good idea. Soft colors but alive, guarantee the tranquility of the environment. Finally, if you want to pamper your little one can even allow you to have a football field into his room. I hope these ideas have been useful.